For the next few weeks, I’m going to go through the Mikio Naruse films that Criterion has made available exclusively on the Hulu channel. 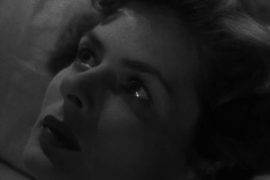 When a Woman Ascends the Stairs was one of the best new-to-me films I saw last year, and my voyage through his silent films was more than enough to convince me that he has not received his due in the larger conversation. 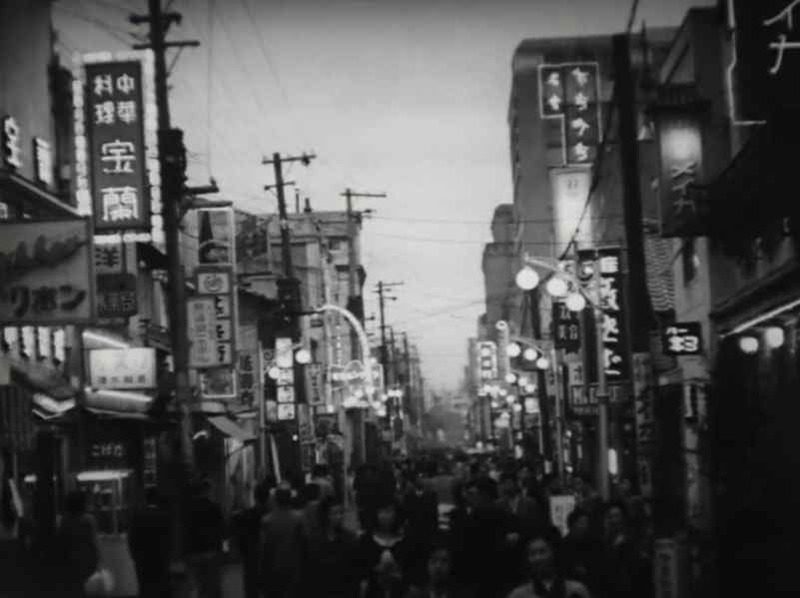 His premises, while often simple, have an immediately-intriguing quality to them, instantly drawing one’s attention in a way that, say, Ozu’s might not. 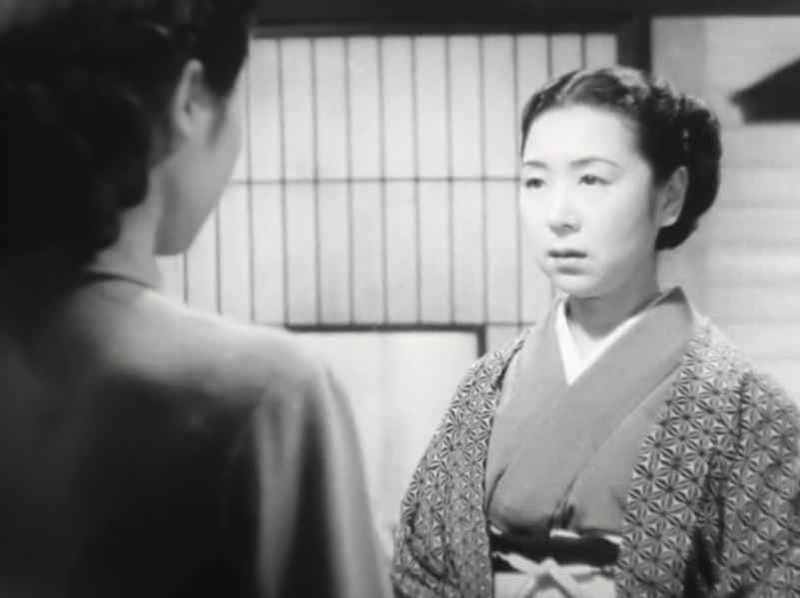 Like Ozu, though, Naruse was almost singularly devoted throughout his career to what one might call a rigid set of recurring themes, centering most of his films around working-class women (often geishas) just barely scraping by, set back as much, if not more, by their own flaws as by the circumstances to which they were born. 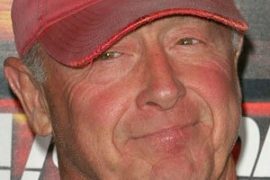 That really separates his work from so many who make films about the lower class. There’s little nobility to what these women have to endure to get by; only their essential humanity. Naruse toes a fine line, admitting that these women have little other recourse while never turning their lives into political statements, nor imbuing them with false virtue. They often act selfishly, ignoring not only the needs of those around them, and are hopelessly short-sighted, only able to account for the needs of today. He filtered these concerns through an uncanny knack for melodrama while taking a very patient attitude to the proceedings. That having been said, Ginza Cosmetics is, even in a career stacked with pointedly minor works, a fairly minor work, but has such a fierce undercurrent that it’s well worth investigating. 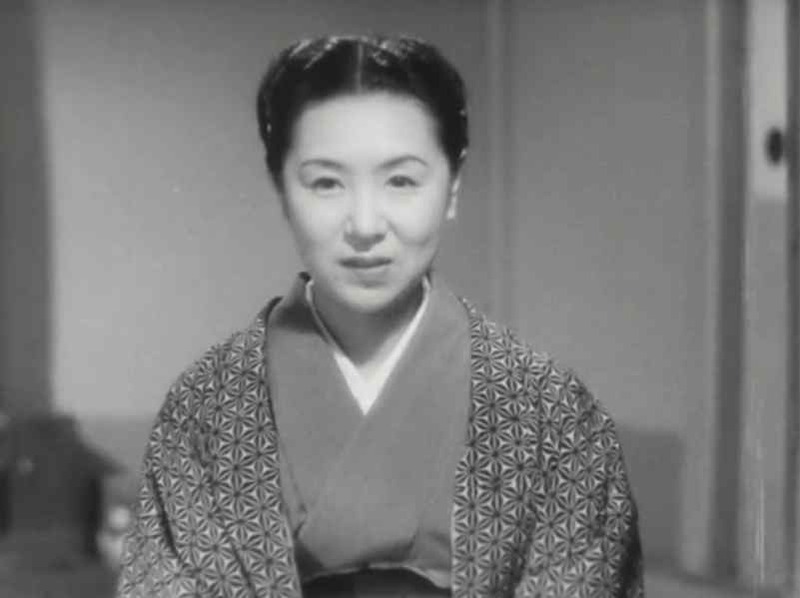 Most of the running time is spent wallowing in the daily routines and trials of Yukiko (Kinuyo Tanaka), a geisha getting on in years (Tanaka was in her early forties at the time the film was made), and her struggle to keep her life afloat. Very little is made of her age, but we get just enough hints to know this is a much larger concern than she lets on. Besides it being a job one can very easily age out of, the strain of the lifestyle – constantly appeasing violently-tempered men, is extreme. Yukiko offers a quick piece of advice – “You don’t want to be a hostess when you’re in your forties” – that is tossed off so expertly, perfectly positioned purely as advice while allowing us to reflect on what she’s really saying about herself. The idea of “impermanence” is often discussed in terms of the inevitable end of something good, but how much more heartbreaking it is here when it’s the end of something merely endurable, but necessary nonetheless. The only trace of plot crops up when one of Yukiko’s coworkers has a suitor visiting who knows nothing of their lifestyle, and whom Yukiko must entertain while the coworker is on a job. In a very different film, this would be the province of a series of hijinks in which she must hide her true identity (the suitor thinks she’s a war widow and college graduate), but here provides an outlet for Yukiko’s artistic temperament, barely alluded to early in the film. She fakes her way through most of the conversations Kyosuke initiates, until finally they gaze up at the stars. He starts reciting a poem, to which she simply responds that she vaguely remembers it, and we’re certain she’s just passing through the remark without the ability to wade in it, until she is suddenly able to complete the next line. Suddenly we recall a book of poetry on her shelf that gets nothing more than a casual mention, and reconsider Yukiko’s entire life in its presence. These kind of minor details suddenly coalescing becomes a familiar feeling before long, building to an ending that somehow manages to combine feelings of joy, jealousy, melancholy, and anger all under one smooth surface. Naruse was uncommonly talented with scenes involving mixed emotions, fueled chiefly by the kind of immense sadness that comes when you haven’t the ability nor the outlet the express it, as his characters often lack both. Like many Japanese films of the period, it’s almost reflexively a postwar piece. Yukiko and her friend must pose as widows of World War II to hide their profession, the guise of which could be all too easily obtained, with few questions asked, in 1951. Yet, through this, we realize that Yukiko herself obviously survived the war, and how that turbulence informs her ambivalence about continuing as a geisha. She might have taken up the profession as a young women in the late 1920s or early ’30s, and, like many Japanese women, joined the industrial workforce during the war (teahouses and bars in Japan were forced to shut down in 1944, putting the remaining women to work in a factory). One doesn’t move through this experience unchanged, and it could easily force a great deal of doubt into an already tenuous profession. The lingering effects of the war weren’t all personal, of course, and are sometimes better expressed through landscape. As she shows Kyosuke around Tokyo, Yukiko reflects on how quickly the neighborhoods were rebuilt – we gaze upon vibrant urban centers while she recalls a time when the area was nothing but tents amidst ruin. The title, in fact, refers not to beauty supply counters, but rather to the particular, false air of entertainment promised by the Ginza district, wherein lay most of the city’s seedier nightlife. There are few countries more eager to forget a war than those which lost it, and many films from Japan during this period are tinged with a desire to forget an experience one can never erase. The children play in streets still in disrepair, and adults are drawn to their exuberance, amused by frustrations over simple offenses that they wish could still be their primary concern. Presented in HD(!) and in its original, full-frame aspect ratio, Ginza Cosmetics is not the first film I’d use to illustrate how far streaming video has come, but it still looks quite nice whether one views it through their HDTV or computer. The print utilized feels a little faded and washed out, but it retains a great deal of integrity and detail. Blacks are a little muddy, but whites still look very good, even if the image is a little blown-out. Compression effects are present, but very minor. Not the best presentation you’ll find on Hulu, but far from the worst. I did notice the audio drop out a few times, but subtitles make it easy enough to keep up. I doubt Criterion would give this any sort of proper release, especially given that When a Woman Ascends the Stairs was, unfortunately, not a big seller from what I hear. So watch it now, on Hulu! Click here to try Hulu Plus and get two weeks free.